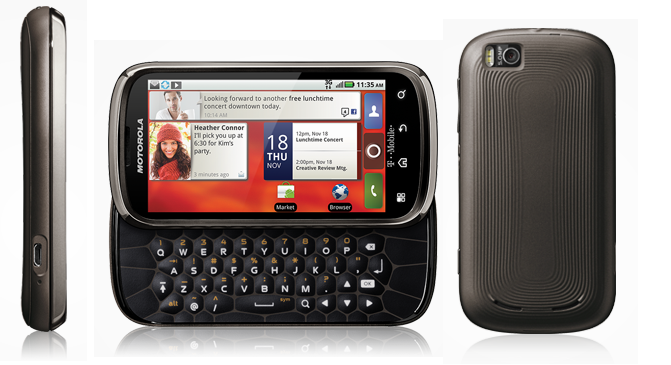 Motorola Cliq was a successful phone for T-Mobile and was more of a mid-range device and was succeeded by Cliq XT. Motorola announced successor, named Cliq 2, a seriously well spec’ed phone running Froyo. One great feature of this phone is the slide out landscape qwerty. Display is again a 3.7” TFT LCD with a resolution of 480×854 pixels. The phone is powered by a 1GHz (details of make and model not known yet) and 512MB of RAM. Internal user memory is 1GB but thanks to Froyo and microSD expansion slot, one can install apps on external storage and keep internal memory uncluttered. Motorola has applied their not-so-good Motoblur UI as overlay UI. Other good features include 5mp camera, 802.11N with DLNA, decent 1420 mAh battery that gives around eight hours of talk-time. With the specification borrowed from 2010’s top end smartphones, Cliq 2 will be great addition to mid-range smartphone lineup on T-Mobile. 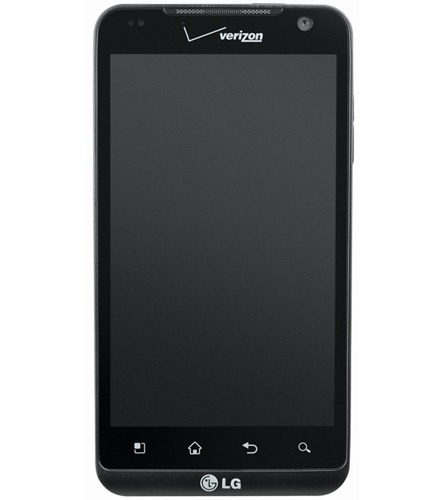 This is another beast from LG and this time, it is for Verizon Wireless. Not much of detail on specification is known for this phone though the official announcement was for Verizon. All that we know is that this phone comes with a 4.3” display and is a 4G LTE device. Phone runs Froyo and supports DivX, DLNA and HDMI out (720p). Camera is a 5mp shooter with flash and it looks like it can record videos at 720p. We do hope that Verizon and LG release a bit more information about this phone soon. 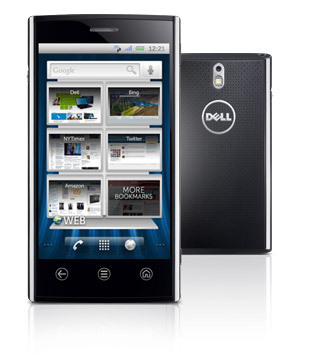 Dell has been fairly successful with their smartphone releases till now. Their Streak tablet has been selling well and Venue Pro WP7 received good response from reviewers. Dell Venue is a new smartphone that runs Android and can easily fit in your pocket. 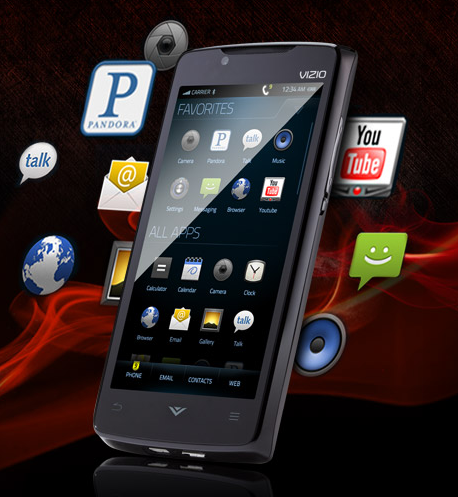 The phone is powered by Qualcomm QSD8255 processor running at 1GHz and has 512MB of RAM at its disposal. User memory is 1GB but more can be added through microSD expansion. It’s good to see Dell going with AMOLED panel instead of LCD or TFT, which is better when compared to most other phones that are going for old panel type and there is 4.1” of real state. The display is protected by super hard ‘Gorilla Glass’. Camera is 8mp that may record videos at 720p. Dell has put Stage UI on top of Froyo and the Stage UI is much better than Motoblur (Motorola)and Touchwiz (Samsung). Battery is 1400 mAh which is good but not great when compared to battery on newer Motorola phones. Overall, it looks like Dell has a very good phone to take on mainstream Android smartphones. Vizio is a major player in TV market in North America and they recently started selling AV equipment, high def surround systems, computer monitors and accessories. And they surprised many in CES by announcing a phone and tablet, based on Android OS. The phone is real stunner with a breathtaking design. The overlay UI (no name yet) is something that can give Sense UI a run for its money. And I hope that this phone hits the market ASAP as it will be the most stylish Android device to sell in the market. Vizio has not given much of detail on phone’s internals. From what we know, phone has a 4” touchscreen and from the videos, it looks like an AMOLED panel. The phone is powered by 1GHz processor (model and make unknown), has a 5mp camera at the back (720p video recording) and a front facing camera for video calling. There is a HDMI port to output HD videos to TV and monitor. Great thing is that this phone also acts as universal remote (probably restricted to Vizio hardware). Huawei had announced couple of Androids in the past but most had retail availability issues. 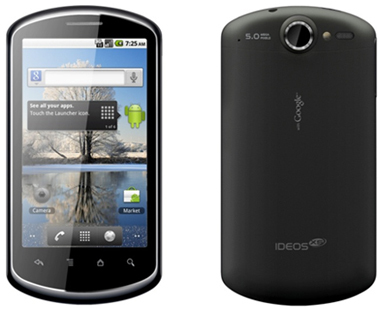 Ideos X5 is their latest android high end smartphone with a 3.8” 480×800 resolution capacitive touch display. At 11.6mm, the phone is pretty thin. X5 runs Froyo without any custom UI and modifications. Most of the features are similar to what is found on high end smartphones released in 2010. Phone is powered by Qualcomm MSM7230 processor running at 800Hz. The internal storage could be 2GB or 4GB. Phone comes with a 5mp camera with LED flash and can record 720p videos at 30fps which is a good sign. Battery is 1500 mAh which should keep the phone up and running overnight on moderate use. Looking at the hardware, have a feeling that this phone should’ve come out mid-2010 instead of 2011. 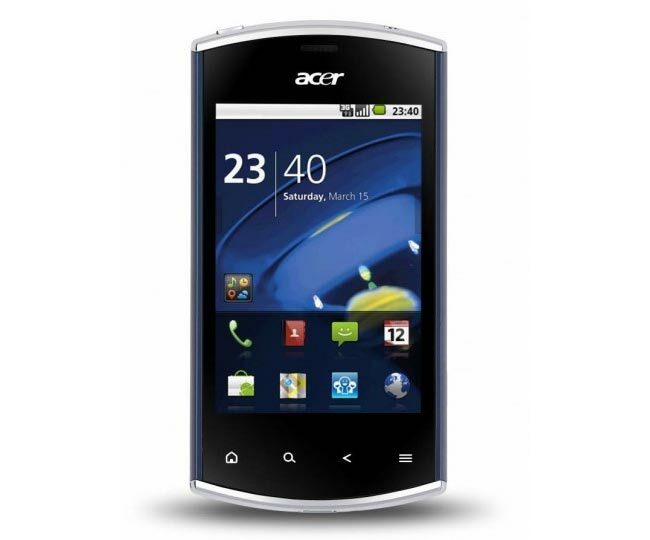 This is the new entrant in Acer’s Liquid series of smartphones. E310 is mid-range smartphone that should go head-on against phones like Galaxy 3 and Optimus One etc. While the design looks good, the specification are much better than other mid-range phones. 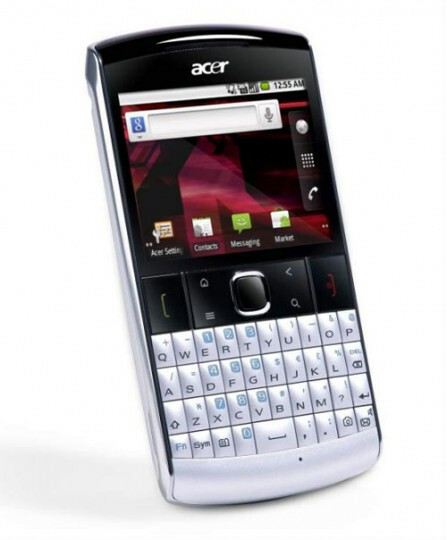 Display is 3.2” 256k color display and the phone runs Froyo with Acer’s custom UI on top of Froyo. The weak area of the phone is MSM7227 600MHz processor to keep things fast, there is 512MB of RAM but the ROM is just 512MB which also serves as user memory. There is an expansion slot though. Among other things, there is a 5mp camera, weights just 109grams and has a decent battery (1400mAh). If the availability as good as that of Samsungs and HTCs and if priced right, this phone can give serious amount of competition to the bigger players. This is the only smartphone announced during CES that comes with a portrait qwerty, targets business class users. The specs are pretty basic and their phone is more of a low-mid range device. A 2.6” display, an Ericsson 416MHz processor , which is kind of unthought of by Acer (Android is not something that can run on a 400MHz processor) and 256MB of RAM means that thie phone is not going to be fun to use and should be considered as a pure business class device (mails, calls and some browsing). There is optical track-pad to navigate, a 3.2mp camera and no front facing camera, which again shows lack of thought as a video calling phone would be much better for business class users. Also, lack of document editor, Wi-Fi makes this phone nearly useless. This is probably the only phone announced at CES that doesn’t run Android OS. Freestyle is successor to HTC’s “Smart” phone and it runs Qualcomm Brew OS with Sense UI on top of it. To be frank, I never liked Smart and these are more of feature phone than a smartphone. Freestyle gets build elements from devices like Desire. Display size is 3.2” and the resolution is 320×480, which is good and better than poor resolution Wildfire and Smart. The phone is powered by a 300MHz Qualcomm processor, RAM and ROM are 256MB. There is much to talk about other areas too. There is 3G for high speed Internet but no Wi-Fi, the camera is basic 3.2mp camera with fixed focus and not much in multimedia department. 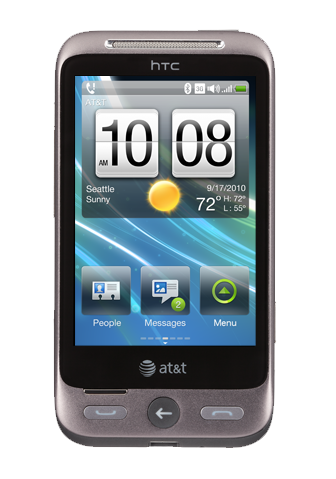 This phone is locked to AT&T and if I am right, it would be available for free on contract or for a very low price. Sorry for mentioning this again, this is a feature phone for basic use and nowhere near to what a smartphone should be. So, there you go. More than a dozen phones announced, some might go on to post record sales while others may never reach retail market. One common trend that we have seen is that most manufacturers are going after Android and they have good backing from carriers. Dual core devices should start coming in by March and by the end of the year, they should take the baton from unicore devices. On the display front, manufacturers are going to go for their own AMOLED based panels and as the year progresses, older panels like TFT would be restricted to low and mid range devices. Do keep visiting us for more updates on phones and everything related to telecom and mobiles. Have a great year and btw, if you haven’t jumped onto smartphone bandwagon, this would be the year to jump on board.